Haemophillus parainfluenza is the habitant of human respiratory tract. It is commonly found in invasive infections. Infections of haemophillus parainfluenza commonly occur in immuno compromised patients. Disruption of mucosal barrier or normal skin leads to haemophillus parainfluenza infection. Haemophillus species itself is involved in various serious and mild infections. It commonly causes otitis media, sinusitis, epiglottis, cellulitis, bacteremia, meningitis and pneumonia. It is diagnosed via stereotyping and culture. It is normally present in respiratory tract and form normal flora. Whenever a pathogenic strain enters the respiratory tract via nasal inhalation and direct contact, it causes infection. It spread widely in immuno compromised patients. Serious infection occurs in children, native Americans and blacks. Sickle cell anemia, asplenia and immune deficiency are the pre disposing factors of haemophillus parainfluenza infection. All species of haemophillus is not beneficial but some are pathogenic and haemophillus parainfluenza is the one. It commonly causes urinary tract infection and endocarditis in adults. Conjunctivitis and bronchitis are also listed. As haemophillus parainfluenza pathogen is involved in infection, so it's treatment therapy involves antibiotics. Patient is asked to take vaccine for haemophillus influenza. It is asymptomatic and do not show symptoms. However, The conditions which are led by haemophillus parainfluenza shows symptoms. Haemophillus parainfluenza leads to various infections, so the symptoms vary in every disease. As in case of meningitis, seizures and coma are common symptoms. Cellulitis shows tenderness in neck and head region and patient suffer from fever. In epiglottis, patient cannot eat or swallow food easily. Haemophillus pneumonia is different from other pneumonia. Patient feels respiratory distress along with fever in pericarditis. In septic arthritis, patient feels eryhtema and warmth. Patient's movement is limited and suffer from fever. 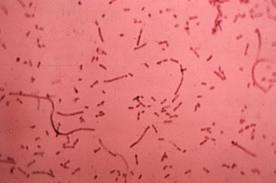 Occult bacteremia shows a specific symptoms i.e. fever. Infection is not visible in bacteremia. Haemophillus parainfluenza is the common inhabitant of respiratory tract, so whoever a pathogenic strain enters in respiratory tract via sinuses or ear, it causes infection. Bacteremia shows CNS invasion and choroid plexus is the cause. In epiglottis, pathogenic strain enters into the epiglottis and leads to cellulitis. Cellulitis makes the epiglottis curl which hinders the inhalation and exhalation. NTHI strains are responsible for causing infections in neonates. As this condition may lead to premature birth, low baby weight at birth. It can transfer from parents to their offsprings via genetics. Genital tract may colonize by NTHi type 4. The treatment therapy of haemophillus parainfluenza involves antibiotics. Third generation cephalosporins are used to treat infections. It is an I.V injection. Intra muscular and intravenous ceftriaxone are prescribed. Resistance of pathogenic strain is also monitored to design the exact potency of antibiotic. Empirical therapy for haemophillus parainfluenza infection is also designed having ceftriaxone and amoxicillin/ clavulanate. Most of the patients show resistance to ampicillin so ceftriaxone is mainly prescribed. These drugs are included in empirical therapy but Every infection has its specific antibiotic. So antibiotics vary according to the infection caused by haemophillus parainfluenza.